The Finding a Line site was a mess when we began working in January and we had trouble getting the city to engage with us to remove trash. 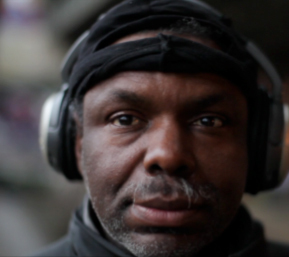 Enter George, a homeless man who calls the site his place and picks up recycled cans for cash. 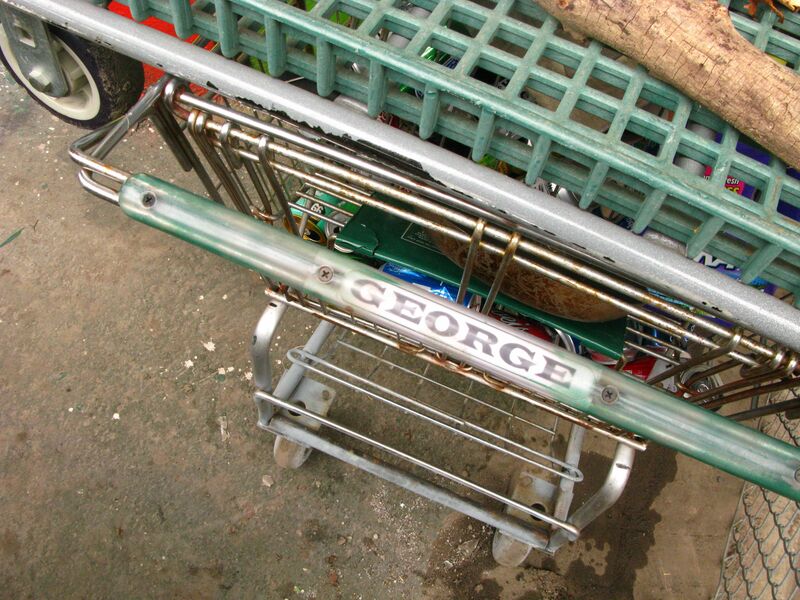 From multiple conversations with George we get behind his self worth and set out re-purposing his cart, tricking out the wheels making it easier to navigate an urban terrain, custom the push handle, special lock, etc. Our interaction George caused him, in turn, to talk to a local private trash collection company and George negotiated a system for us to remove the trash from the site. 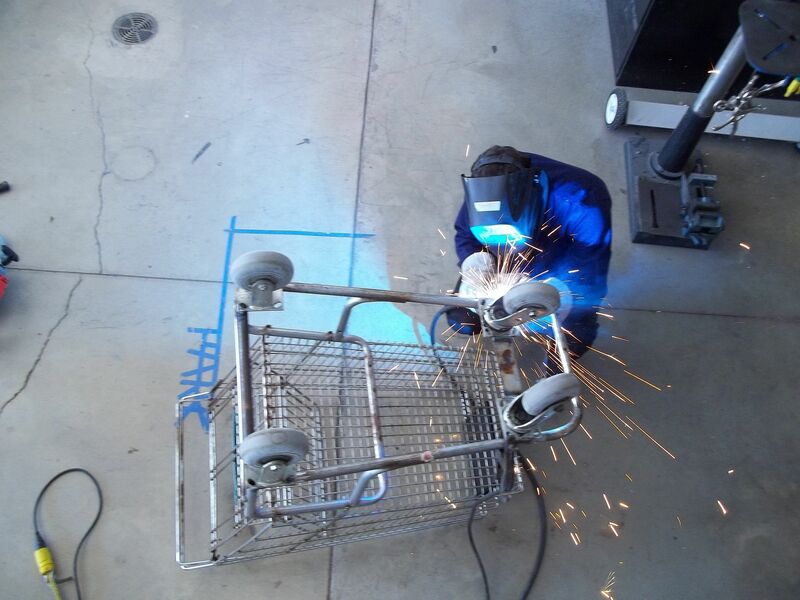 We worked with students from local universities to help trick and rebuild the cart for George. The students learned specific skills and had the pleasure to meet, work, and learn from George.